India is known for medical tourism because it is quite affordable and it gives the patient the freedom to choose the doctor and the treatment but the sad part is that the medical treatment still remains un affordable for a huge mass. This is mainly because of the high cost of the treatment as there are medical issues which can drain up the wealth of any person. In some cases, the cost of treatment can cross a million easily and in such a case, the people falling under the BPL category automatically are not able to afford medical treatment. What is Rashtriya Swasthya Bima Yojana? How Rashtriya Swasthya Bima Yojana work? Eligibility Criteria for Rashtriya Swasthya Bima Yojana? Who will back Rashtriya Swasthya Bima Yojana? Is this the way forward for the nation? As per the information available, the scheme is presently implemented in 25 states of India and more than 36 Million families are already a part of the scheme. In addition to this, the registration fee for the insurance is Rs 30 and the families eligible for the insurance can get a smart card for Rashtriya Swasthya Bima Yojana by simply depositing the fee. The scheme offers cashless treatment of up to Rs 30,000 per year and the limit is basically for inpatient treatment. The insurance also covers all the pre-existing diseases which are one of the best features of the insurance plan. Apart from this, another benefit of the insurance is that it provides transport expense to the family whose member is hospitalized. As mentioned above, the Yellow BPL card holder can approach the department and get the registration done. Once they are registered, they can visit any of the government hospitals for the treatment and the treatment would be covered by the insurance. The scheme provides insurance to MNREGA workers, sanitation works, rickshaw pullers, street vendors, mine workers and even domestic help. In addition to this, 5 members of the family can be covered in the insurance scheme easily. The scheme is only applicable for the people falling under BPL category. The applicant must be a citizen of India and she should also hold a valid yellow BPL ration card. Only five members of the family can be covered by the insurance. 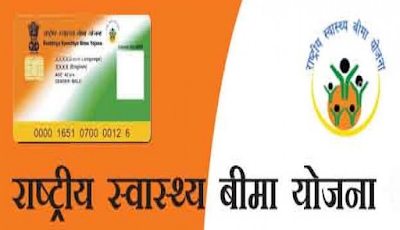 How to apply for Rashtriya Swasthya Bima Yojana? The person willing to enroll for the Rashtriya Swasthya Bima Yojana can apply by visiting one of the enrolment stations in the local area. The applicant can then take a registration form and fill in the forms to complete the registration process. A smart card will then be issued to each head of the family. The scheme covers a lot of people under the health insurance and hence it offers treatment to a large chunk of the population. In addition to this, a lot of people who used to ignore the disease now seek treatment because of the coverage. The government is planning to increase the coverage from Rs 30,000 to Rs 1 Lakh and that will make sure that more diseases are covered by insurance. The scheme also covers all the pre-existent diseases and this is the unique feature of this policy. The plan is being backed by the central government and the scheme is a working project under the Ministry of Health and Family Welfare. This is an ideal health insurance for the people under BPL in India. The premium is low, the coverage is high and the insurance covers the pre-existent diseases either. In addition to this, the insurance provides the cover for the complete family. The government is planning to increase the coverage amount and the government should definitely increase the coverage amount of the scheme.